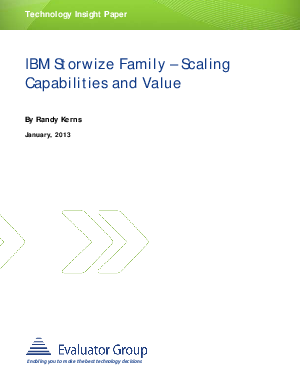 This analyst paper features the advantages of IBM SmartCloud Storage Access and its value to customers who want to implement a private cloud solution. The answer to these organizations is IBM SmartCloud Storage Access (SSA), which lets organizations turn on-premise storage systems including SONAS and/or Storwize V7000 Unified Storage into powerful private clouds. The cloud-based storage services created by SmartCloud Storage Access combines the scale-out and unified features of the underlying storage systems into highly flexible and manageable cloud-based storage.